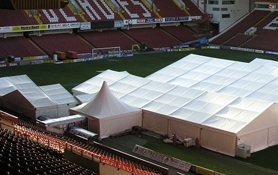 Established in the 1990’s, Coopers Marquees Ltd is a family run, Yorkshire based marquee hire company with a national reputation for excellence. A small company, with a big reputation, in Yorkshire and beyond. With over 100 years combined knowledge of the events marquee industries, it would be hard to question our ability to provide an honest and flawless service. We give you the expertise and peace of mind that no matter what your vision or expectation, we will not let you down.